Living your whole life on the shores of Lake Michigan you sometimes take for granted the extreme beauty of the lake and Michigan's Great Southwest. 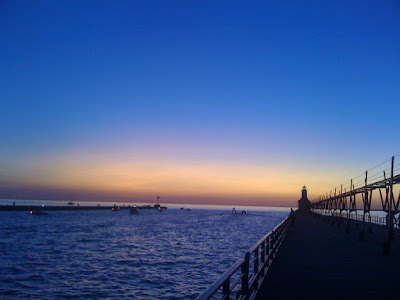 I took some pictures the other night from the north pier in St. Joseph and thought you might appreciate them. Here is the sky just after sunset. The brilliant blue sky was amazing that evening. 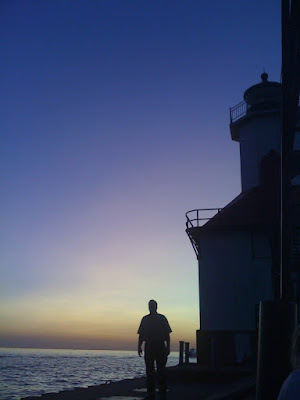 Here is my dad in silhouette against the lighthouse and the lake.